Perfect people-watching position, Chandos Deli on Roman Walk passageway faces the city’s red sandstone walls – some of the oldest are almost 2,000 years old! 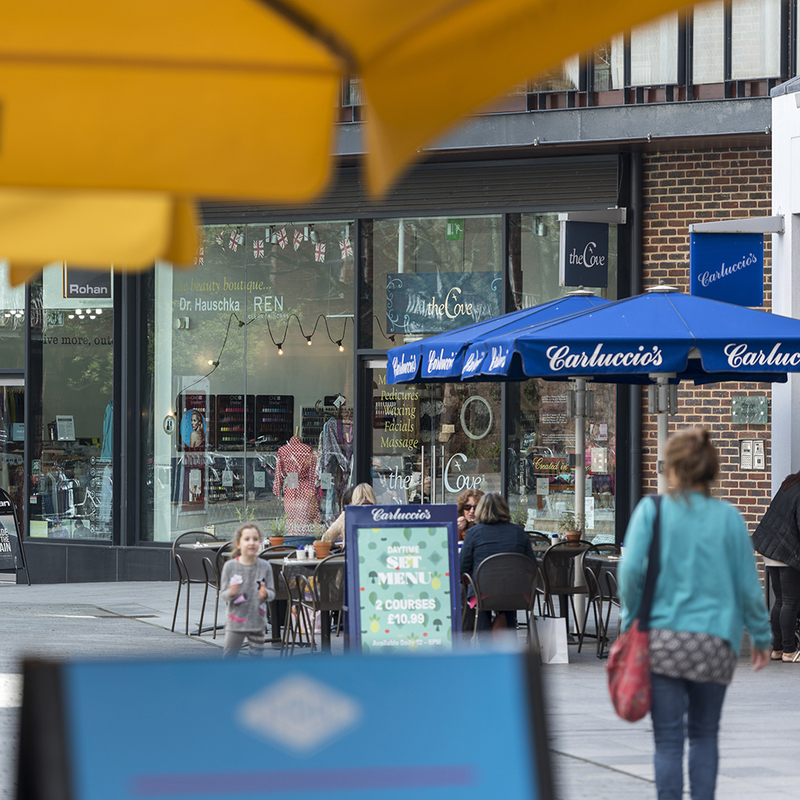 Hunt for Continental foods, fine wine and deli treats. Enjoy lunch with colleagues and friends, or claim some ‘me time’ by pulling up a chair and ordering a glass of wine and some olives. 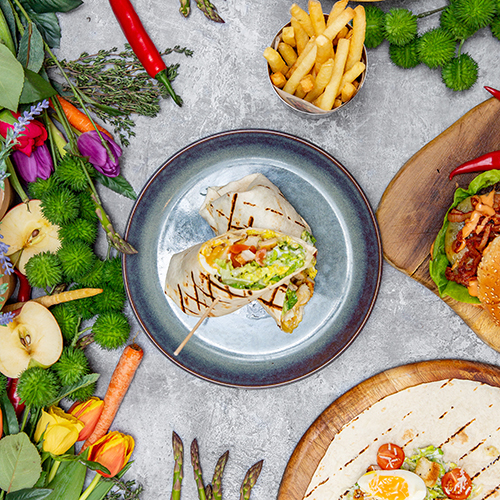 The new spring menu at Coal Grill & Bar includes Mediterranean lamb casserole, grilled Caesar chicken wrap and butternut squash and minced soya lasagne. For dessert, order Altin’s grilled nectarines with mascarpone cheesecake. Two courses for £11.95, three courses for £14.95. Coffee#1 is a sheltered spot to soak in some rays on Roman Walk. 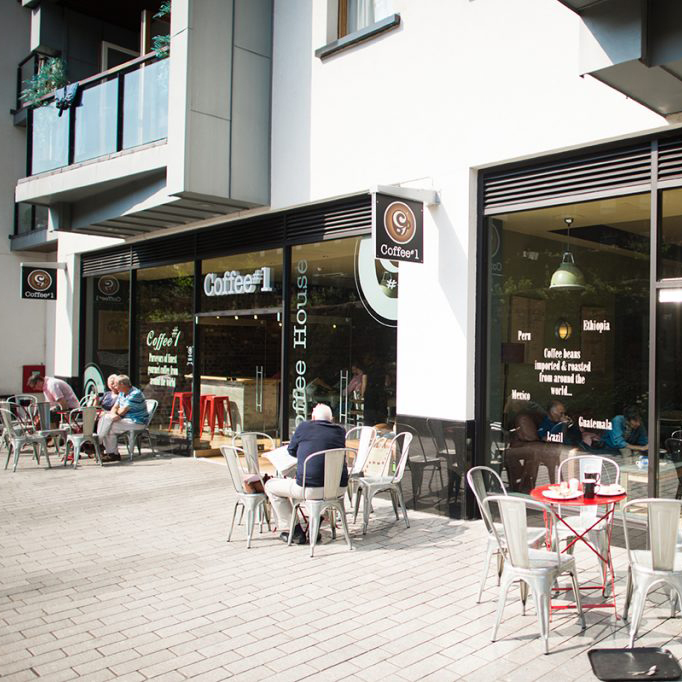 Coffee (with latte art) and cake (the cheesecakes are divine) pull in the crowds on sunny days. 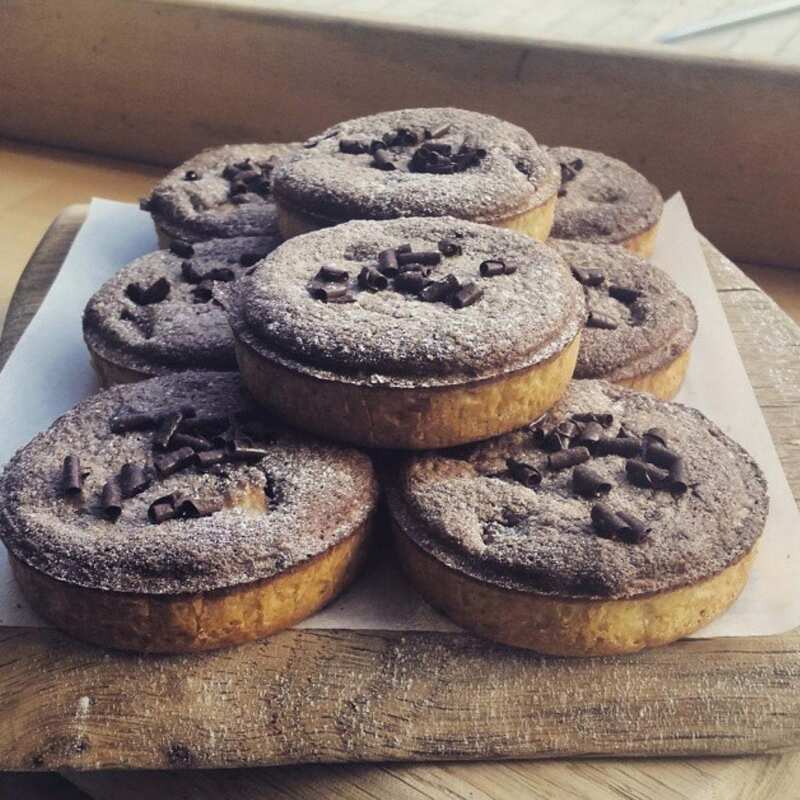 Juices, smoothies and seasonal additions, such as Red Velvet Hot Chocolate made with beetroot powder are on the menu. There’s hot chocolate with rainbow beans for kids as well as colouring sheets to keep them busy. Brunches and lunches are varied. 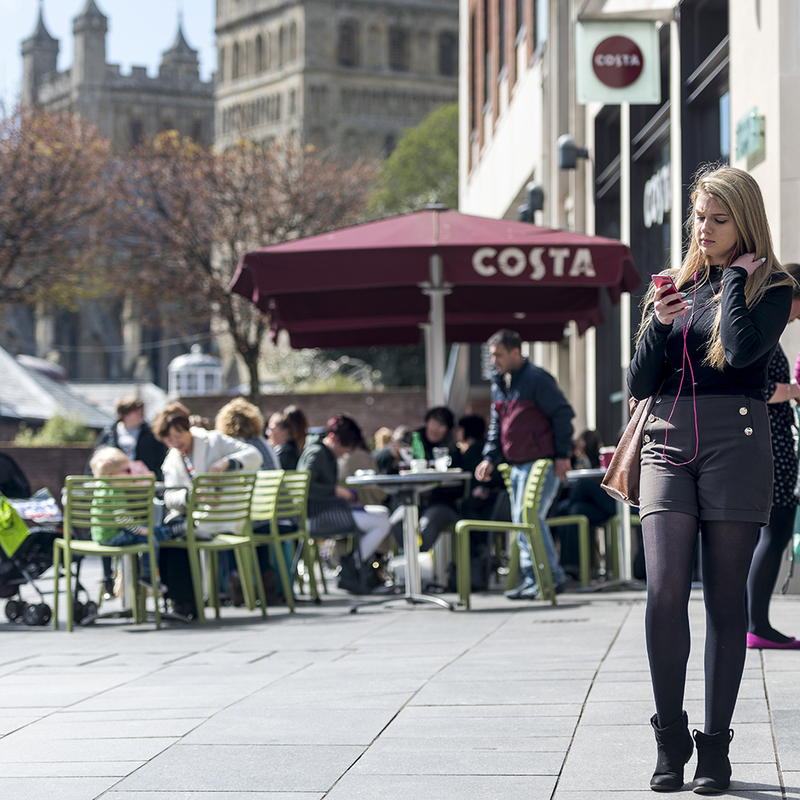 For the best views of our neighbour, Exeter Cathedral, sit out on Costa’s terrace. Tip: for a breakfast treat, buy a delicious cinnamon brioche bun (good enough to rival to the Danish cinnamon whirls in Copenhagen)! If you’re lucky, the barista will pour a feather design on top of your flat white. Under the shade of Giraffe’s parasols, enjoy breakfast, lunch and dinner, digging your knife and fork into world cuisine. Whether your favourite is the Katsu Chicken Curry, the juicy Smokey Joe Burger or the super Chicken Penang Bang Salad, you’re sure to find something on the menu to tempt you. Go one step further with a refreshing crafted cocktail and sweeten the day with delicious desserts including the Hot Choc Brownie and the addictive cinnamon-coated churros. 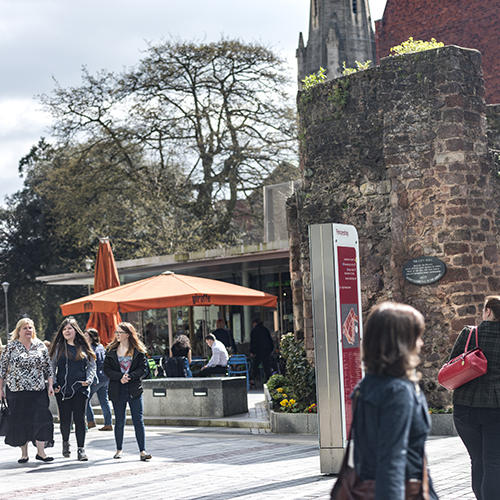 Princesshay is a sponsor of The Exeter Festival of South West Food & Drink on Saturday 4th, Sunday 5th and Early May Bank Holiday Monday 6th May. 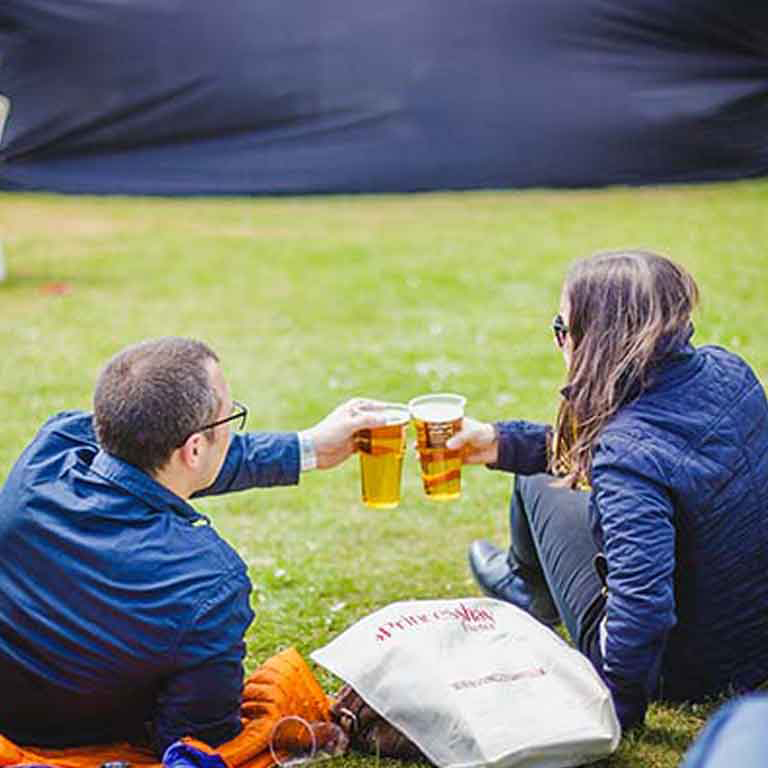 The festival is an outdoor ticketed event taking place in the centre of Exeter across two adjoining sites; Exeter Castle and the surrounding Northernhay Gardens. There are cookery demonstrations, over 100 producer stalls, live music and activities for children. Buy tickets here.